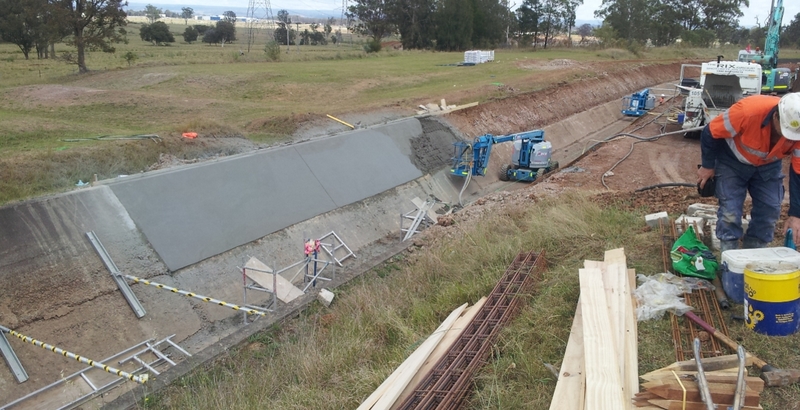 In 2012 there was a major collapse on the Upper Canal at Raby Road, Campbelltown. 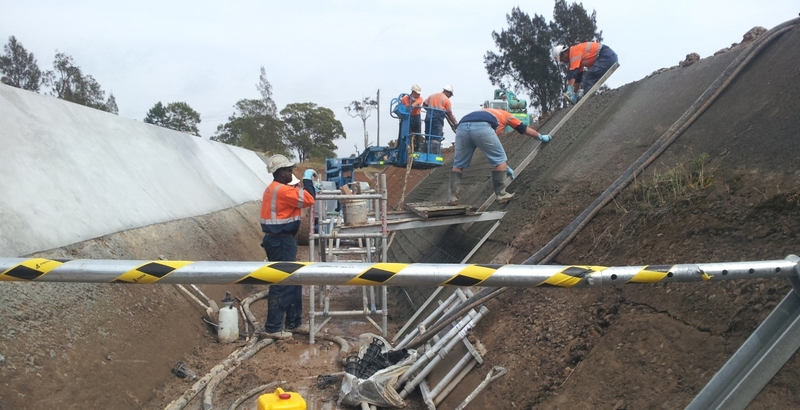 Transfield Services sought the assistance of Jonishan in the urgent repair works. 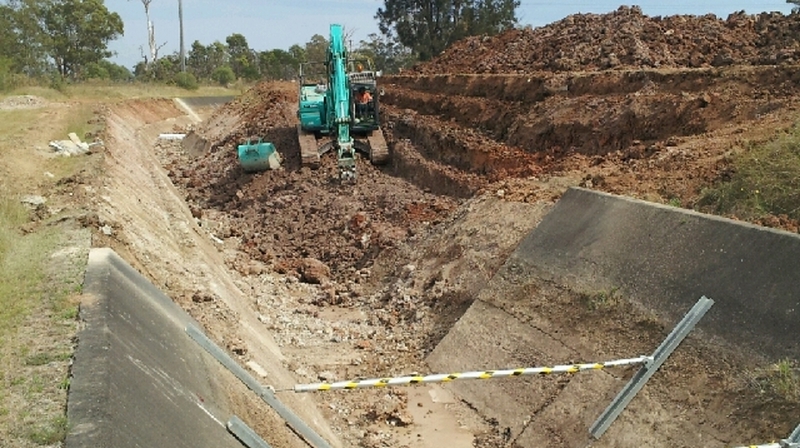 636m2 of collapsed concrete required the canal to be shut off. A quick response was required to complete the work in a very tight schedule. 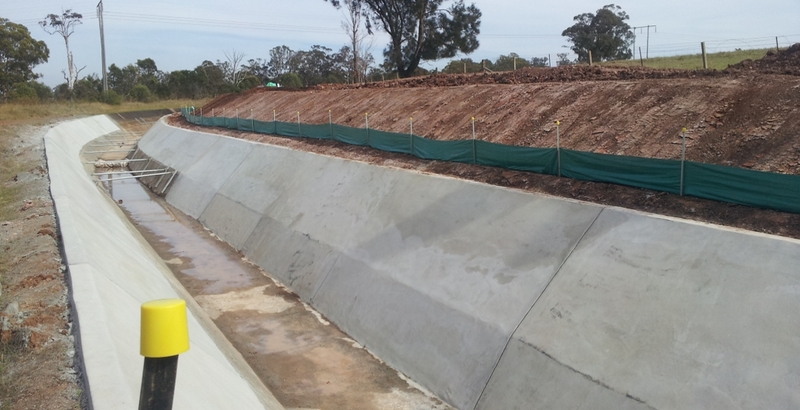 Jonishans works included installation of erosion and sediment controls. The canal repair involved demolishing and reconstruction of the north and south upper and lower walls. The north side required the removal of a bridge and pipe pole. Drilling soil nails were used 2 per every 6m of repair. 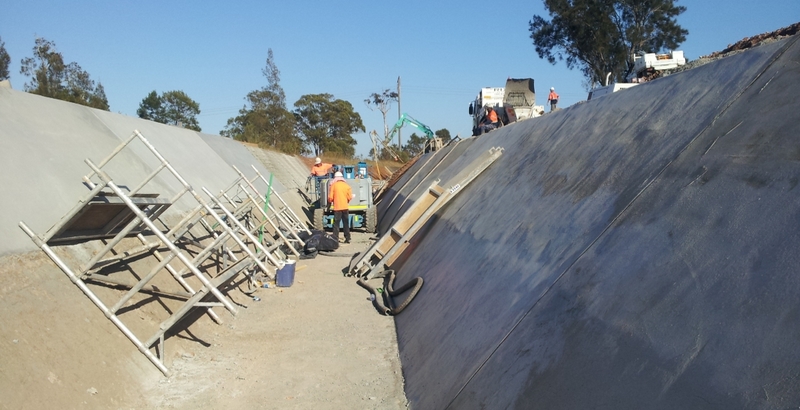 The walls were formed and shot created at the wall top lip 0.4m, upper panel 2.4m and lower 1.5m wide. 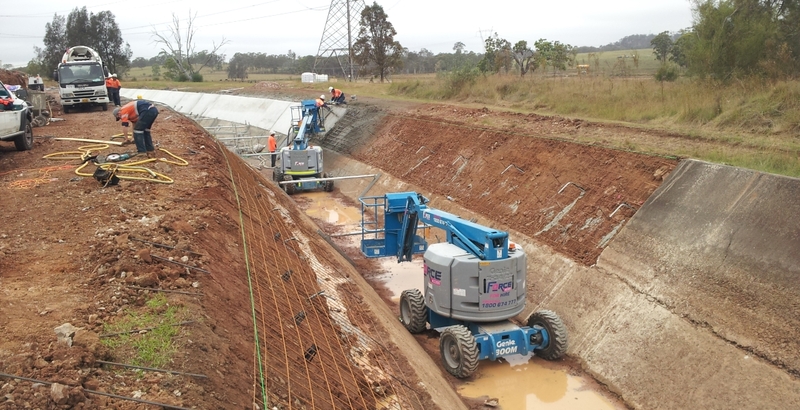 All repairs were carried out maintaining the original canal profile. Site restoration and reinstallation of the turf area completed the project.